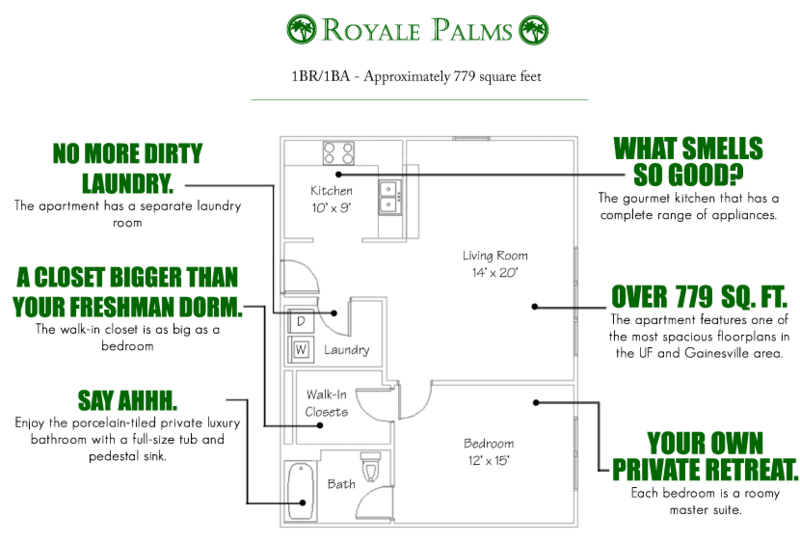 Each 1, 2, & 3 bedroom Gainesville apartment at Royale Palms boasts an endless list of exquisite amenities, including washer/dryers, oversized tile in the kitchen and bathrooms, FREE Hi-Speed Ethernet, spacious living rooms, and more. Each bedroom is a master suite with privacy-lock door, oversized closet, bright windows, and private bathroom. 18 Steps from UF at Norman Hall in Gainesville, FL. One fo the closest apartment complexes to UF sorority Row and UF intramurals-- plus one of the best apartments walking distance to Shands/UF health. 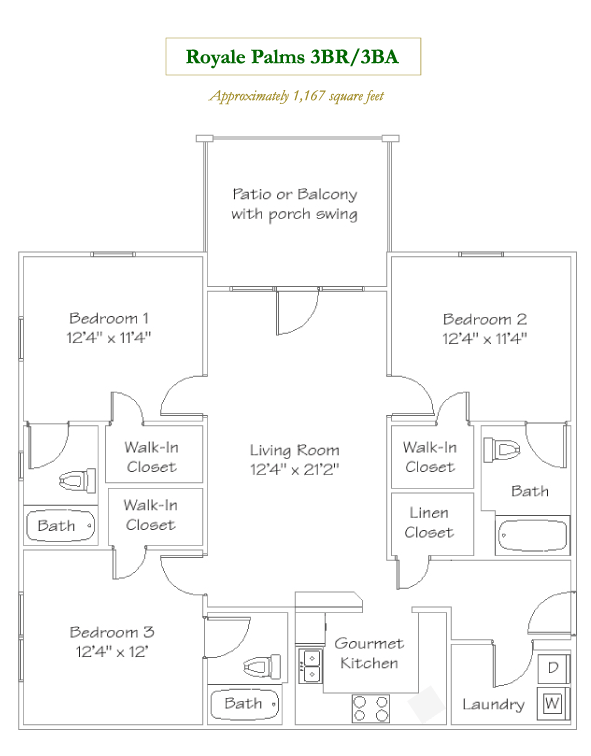 Select units include large balconies with modern porch swings. Now touring for Fall move-in! 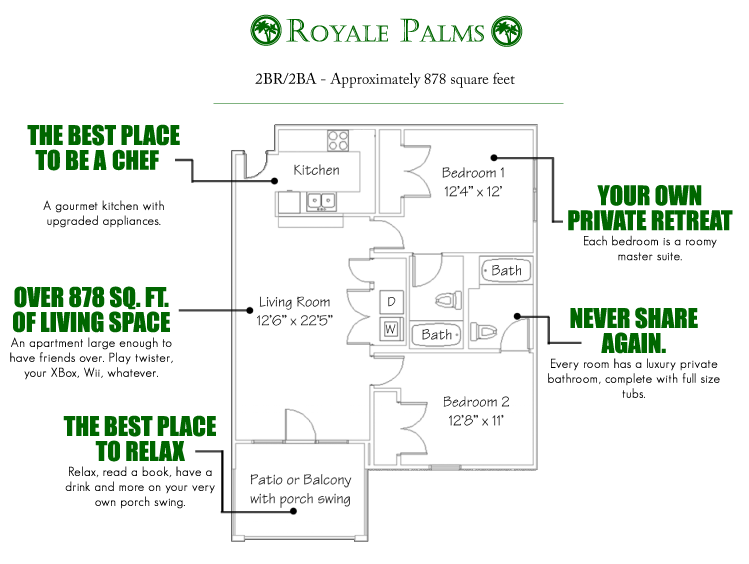 Royale Palms is located and 0.36 miles from University of Florida. The property has a Walkscore of 68, so you might need to drive or bike some of the time. Royale Palms has many shops nearby. Coffee shops in the area include Starbucks, Lollicup, Volta Coffee, Tea & Chocolate. There are a number of markets in the area include Walmart, Publix Super Market at Esplanade At Butler Plaza, Publix Super Market at West Gate Shopping Center.